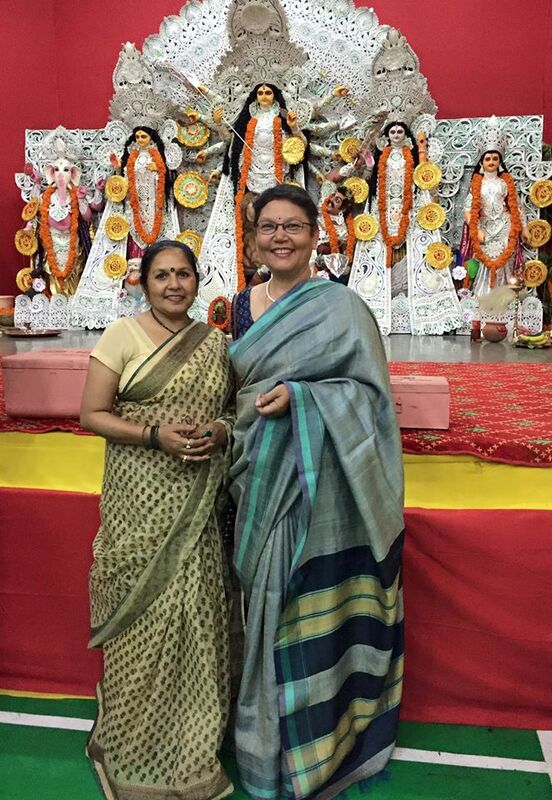 Today is Durga Shoshti, the official commencement of the Durga Puja celebrations. The day on which Ma Durga is adorned with her weapons to fight evil and bestowed her “third” eye to root out the same. This is also the occasion to dress in one of the many new sets of clothes/ sarees that one has been gifted for the festival. 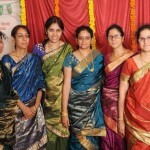 Traditionally on Shoshti one is expected to wear the gifts one receives from one’s nani’s/mother’s family or relatives. Thus my cousin Urmimala is wearing a kota Doria gifted by me many moons ago that finally got “falled ” and “bloused ” 😁, and I am wearing a handloom Bhagalpur tassar silk that I gifted myself 😎, also many moons ago, coordinated with a Bagru printed blouse.